For many websites, the way they make money isn’t through advertising and PPC but through selling tangible and non-tangible products. To achieve this, there are many platforms you can choose to use to make your website into an eCommerce website. 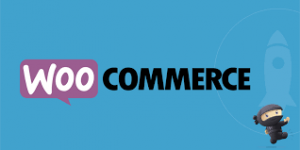 The market leader in eCommerce websites is called WooCommerce. However, going with the market leader does not necessarily mean it is the right decision for you, your website, and your business. With this, here are some of the main pros and cons with WooCommerce, to help you determine whether it is right for your needs. Free – The fact that WooCommerce is free means a lot of start ups that are looking to sell products/services online can do so whilst minimizing their start up costs. Open-source – Just like with WordPress, WooCommerce is an open-source platform. This means that there is the opportunity for third parties to create plugins and more to work within and alongside WooCommerce. Very easy to use – Starting an eCommerce website can be quite a daunting process at first. However, this is not the case with WooCommerce. Installation is extremely pain-free, especially since the tutorials and information that is provided is extensive. If you use WordPress, it is super easy – You can create a WooCommerce website directly. However, if you want to use WordPress, then it is super easy to install WooCommerce, since it is just a plugin. No free hosting – You will have to pay for hosting if you have a WooCommerce website (or WordPress website). This can be quite costly, depending on what package you go for and the host you choose. A lot of the plugins that offer the best functionality tend to not be free. This does mean, if you want to get your eCommerce website looking the way you want it to, you might have to pay quite a lot to get the desired plugins and their functionality. Since it is an open source platform, some of the plugins might be quite difficult to use. Understanding them and setting them up can be a challenge, especially if the third party assumes a certain level of knowledge about eCommerce websites. Lack of updates – If you use WooCommerce with WordPress, it has been sometimes reported that a lack of updates with the WooCommerce plugin causes problems with WordPress, especially when WordPress is updated. Ultimately, there is a reason why WooCommerce is the most used platform for eCommerce websites – it works and works well. For this reason, if you are looking to start up an eCommerce website, it is worth a shot going with WooCommerce – only commit to buying plugins once you have committed to your eCommerce website running through WooCommerce.